Live in the SOLD OUT community of Oak Valley! This home is less than one year new and is gorgeous inside. This newer development is located off of Bruce Road, close to Bidwell Park and easy access to downtown, shopping and freeways. 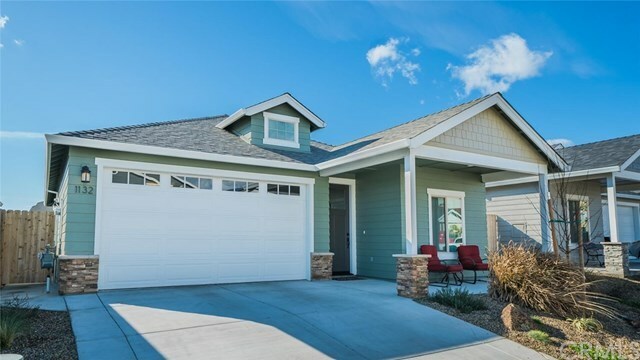 Enter the front door to high ceilings, upgraded laminate wood flooring, beautiful granite countertops, stainless steal appliances, custom blinds and an on-demand hot water heater. The spacious master bedroom features trey ceilings, a large walk-in closet and gets great natural light. The master bath features granite counters, double sinks sitting on a beautiful dark wood vanity and a tiled walk-in shower. If you're looking for a turn-key home in a brand new development, this is it! Directions: Bruce rd before HWY 32, right on Native Oak dr.